For most business owners, being online is a no-brainer. It opens up the possibility of international reach, it increases visibility, and it can even act as another avenue to improve customer service and satisfaction. The quality of the website and the services you offer, however, can make or break your online efforts. If your website does not have the level of professionalism that users are accustomed to, your brand reputation will suffer. You shouldn’t start a business without a comprehensive business plan. If you needed funding from either an investor or bank, you would struggle to proceed without a business plan that was strong enough. Starting your website is very similar. You need to have a fully realized website plan before you start working on launching. The more prepared you are, the more efficiently you can start development. If you are hiring a programmer or firm to create a custom website for you, then this could further help you communicate your vision to your team. Preparing comes before you ever consider design. Preparing means knowing who your target audience is, how they communicate, and what formats they are familiar using. It also means being clear about the goals you have for your website, including what information it needs to display. Remember: catering to a very specific target audience can help you create a genuine and engaging community much faster and easier than if you were to try to coax away readers, subscribers, or customers from an already established company. Your website will need to have a certain functionality in order to do what you need it to. Do you need an online store, do you need to have a sign-up feature, do you need a blog, do you need it to have custom functions? The landscape of your website needs to be determined so that you can then decide whether it is appropriate to design your own website or to hire a programmer. Tip: Look through your competitor’s websites and draw up a list of what you want your website to have on it. Branding is crucial. Not only does it reflect the quality of your brand, but it also acts as the face of your company. Your branding should reflect who you are, your values, and be easy to recognize. A successful logo can replace your business title in advertising schemes, and a brand aesthetic can keep your online presence looking uniform and professional. Where many companies and bloggers alike falter, however, is attempting to make this branding on their own when they have no illustrating experience. Hiring RdyToGo, who can create your custom web and logo design, can ensure you have the best branding to expand your business. The better the branding, the more successful your advertising will be. Navigation, or, in other words, UX (user experience) is the backbone of your website. If your audience cannot easily use or navigate your website, you have automatically lost them. Plan out pages in advance so that you can appropriately interlink. Note, however, that navigation is a hard thing to get right on paper. 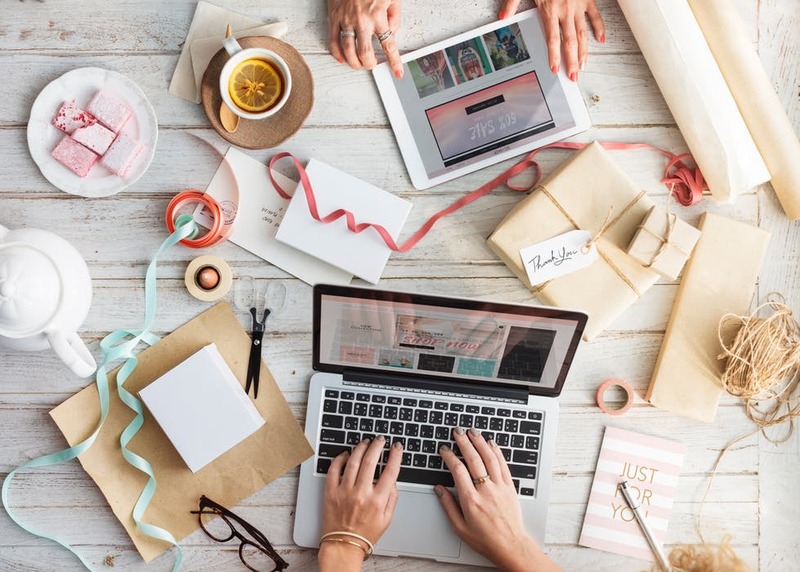 Before you launch your website to the public, have friends and family attempt to conduct a few tasks, such as signing in, buying a product, or even just searching for more information. If they have trouble, you need to improve your site navigation ASAP. If you have opted to design your company’s website by yourself, then your next steps involve choosing a hosting company, choosing which CMS (content management system) you will use, and picking out a robust and versatile theme that has all the specifications that you need. Choosing themes circumvents the need to program, allowing even beginners to create a beautiful website. Be patient and refer to tutorials and the theme developer’s documentation to help you customize the theme as you want. There are a few factors that Google ranks highly which have nothing to do with the content on your page, and these are security, speed, and mobile friendliness. You should aim to have an encrypted connection (especially if you are selling products online). This connection is commonly seen as HTTPS in the URL bar. Having this is seen more favorably by Google. Similarly, speed and mobile friendliness are also major factors, so ensure the hosting company you are using is fast and has little downtime. In terms of your on-page SEO strategies, the first aim to produce quality content. The longer, more keyword-rich your content is, the better. Note that “keyword-rich” does not mean stuffed. It must sound natural to the ear. Overstuffing keywords is a black-hat technique that will get you penalized by Google. Other tactics to use includes incorporating outbound links to other reputable (and relevant) sites as well as internal links to other posts on your website. Google further penalizes stagnant websites, so keep your website active, and aim to post regularly. Tutorials, industry insights, and even personal updates from your business can help connect with your audience and keep Google’s algorithms happy. A successful website is one that is well designed, with strong branding and stellar content. You want users to want to stay on your website because it is only when you offer them something valuable do they use your website and share your content and products with their friends and family members. Planning in advance can help you plan correctly. User experience, on-site SEO, and the aesthetics can all work with you, or against you, so take the extra time to ensure that it benefits your business and brings in new loyal customers from around the world.